L.O.L. Surprise! fans will love taking a spin on this pretty L.O.L. Surprise! Folding Inline Scooter. This L.O.L. Surprise! Folding Inline Scooter comes with a pretty pink frame with LOL Suprise graphics. This L.O.L. Surprise! 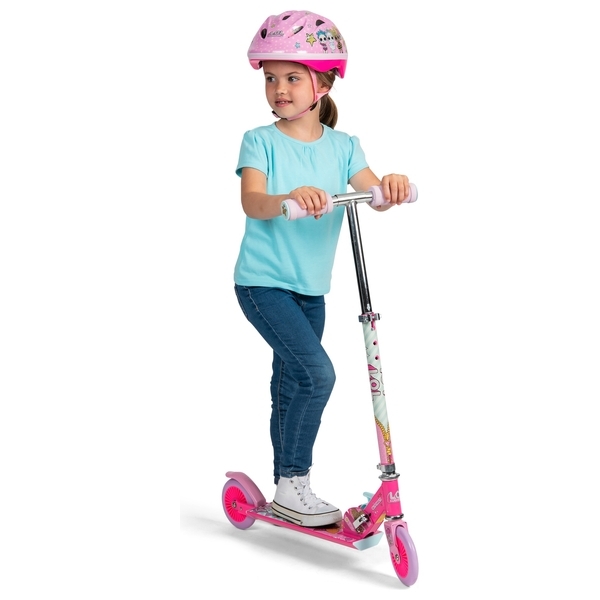 2-wheel scooter is safe with its anti-slip footplat and its rear brake, this scooter is featured with an adjustable handlebar to grow with your child. Easy to store with its easy to use folding system. This L.O.L. Surprise!2-wheel scooter helps your child develop body coordination and balance. Helmet and protection sets sold separately.